The never-before-told story of the officers, policymakers, scientists, and spies who devised this new form of warfare and who have been planning—and fighting—these wars for decades. Dark Territory captures the troubling but engrossing narrative of America’s struggle to both exploit the opportunities and defend against the risks of a new era of global cyber-insecurity. 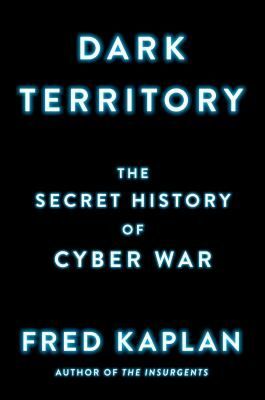 Assiduously and industriously reported, Kaplan’s history underscores a double irony in American cyber-strategy...One of the deep insights of Dark Territory is the historical understanding by both theorists and practitioners that cybersecurity is a dynamic game of offense and defense, each function oscillating in perpetual competition. Mr. Kaplan, a Slate columnist and veteran of The Boston Globe, is deeply sourced. 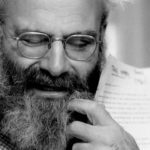 Luckily, he’s not slavishly loyal to his sources: He deals dispassionately with the struggle, before and after Edward Snowden, to balance anti-terror measures and personal privacy. The fun stuff? Details of meetings between top intelligence officials and hackers with nicknames like Mudge and Space Rogue. The dull stuff? Play-by-play accounts of federal task forces. Though Dark Territory is presented as a “secret history,” it is really a collection of the not-so-secret, often less-than-exciting accounts of mid- and executive-level insiders, mostly at the National Security Agency, who debated and formulated cybersecurity policy. That’s not necessarily a bad thing. But it means Kaplan’s narrative by story is far from complete, and too often not memorable. Dark Territory is a book more about the briefings, commission reports and meetings of study groups than it is about actual operations...That is to say, Dark Territory packs in a great deal of material, yet also not enough. It is a readable and informative history of policy formulation. But the overall darkness from which the book takes its title remains to be lifted. What did you think of Dark Territory: The Secret History of Cyber War?